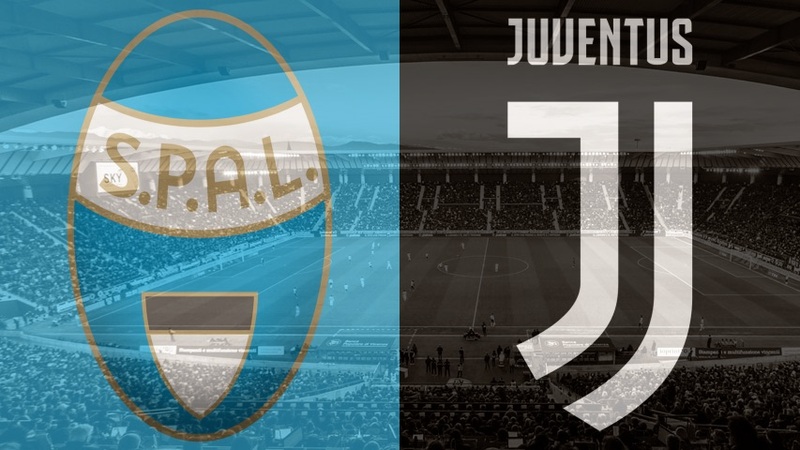 SPAL host champions elect Juventus needing two, possibly three more Serie A victories to ensure their top flight status for another campaign. The Spallini were dealt a small setback in their quest to move away from the drop in the 2-1 loss away at Cagliari and only have a five point cushion from the bottom three. Last time: Cristiano Ronaldo and Mario Mandzukic netted either side of the break to hand all three points to Juventus back in November. SPAL’s impressive three game winning run came to an end against Sardinian outfit Cagliari. Leonardo Semplici’s men toppled both Roma and Lazio, as well as struggling Frosinone and have their fate in their own hands with just seven fixtures remaining. The hosts will look to forward Andrea Petagna to continue his fine goalscoring form this term. The one-time Italy international is enjoying his best ever season to date, netting 12 goals, comfortably surpassing his previous best of six with parent club Atalanta. Petagna was unlucky to miss out on a spot in Roberto Mancini’s squad for the recent EURO 2020 qualifying double header but will surely come in to contention for the next set of games if he maintains his exploits through on goal. Petagna is 5/1 to open the scoring, while SPAL are 4/1 for all three points and 23/10 for a draw. Visitors Juventus will have one eye on the second leg of their Champions League Quarter-final with Ajax. The clash with the Dutch giants takes place just 72 hours after the trip to Emilia-Romagna and Max Allegri is likely to rest a host of first teamers. Moise Kean should feature, and is 8/2 to net anytime. The starlet has sparkled over the last four weeks and will give Mandzukic a welcome rest ahead of the Bianconeri’s big European tie. Juventus are 3/4 to secure another domestic victory and 2/1 to score in both halves of football. One to watch for SPAL: Jasmin Kurtic has eight goal involvements to his name this year and will have licence to support Petagna in attack. The Slovenian is 18/2 in the anytime scorer market. One to watch for Juventus: Sami Khedira has returned to the fold after a spell on the treatment table and is 10/2 to mark his return with the opening effort of the contest. Long shot: It is well documented the Champions League is Juventus’ holy grail and this could be the perfect time for SPAL to face the Bianconeri. The Spallini will be hungry from the opening whistle and have rocked the bigger clubs in recent duels. Consequently, SPAL are available at 17/1 to win 2-1. What are the best Juventus vs. Milan bets in Serie A this weekend?